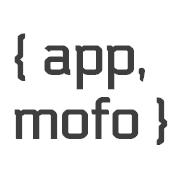 Welcome to the AppMoFo blog. Here you’ll find whimsical and hopefully informative machinations on the world of app development. There will be tutorials, opinions, sample code and other free stuff.